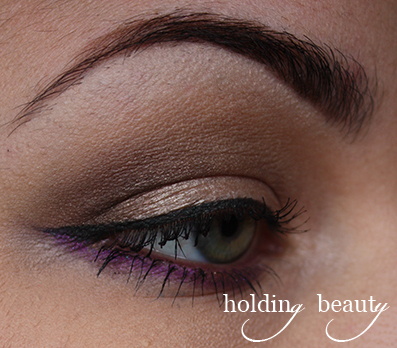 I've just been doing some basic neutral looks lately as I'm waiting for some new fun and exciting makeup to come in the mail! 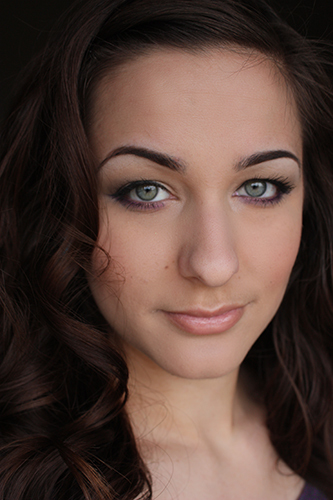 But I really liked the way today's neutral eye turned out; I added a hint of purple on the lower lashline and it really complimented my green eyes. 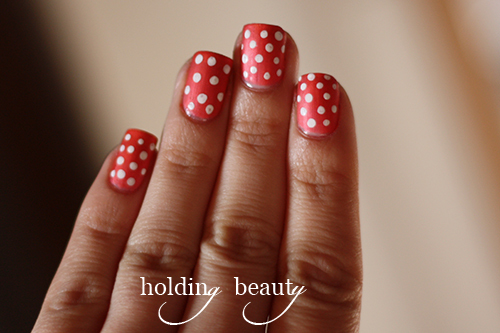 I also have a NOTD to post which is very springy; a pretty coral with white dots. How do you spice up a neutral look?